If you want to try non-veg food from outside, it is very important to find out a good non-veg restaurant that provides tasty as well as healthy food. Fortunately, there are plenty of excellent non-veg restaurants in Nagpur that ensures you a nice dining experience with the quality of their food, service and ambience. Here is describing some of the most popular non-veg restaurants in Nagpur. Everybody, who visits Barbeque, will surely fell in love with the delicious non-veg food supplied here. This restaurant is famous for plenty of non-veg starters such as rolls and kebabs. Barbeque also serves high quality chicken Biriyani, Chicken Sahi Kebab, butter chicken, paneer tikka rolls and Chicken Mughlai Curry. 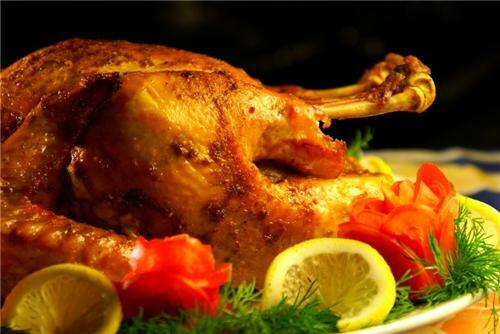 You can also try the best preparation in grilled and tandoori dishes here. You may have to wait for your turn to get your parcels or tables, as the restaurant follows token system. As it is very crowded on weekends, it is better to visit on weekdays. Barbeque opens only for dinner. Ashoka is one of the oldest but best restaurants of Nagpur where you get very prompt service as well as mouth-watering food. It has all the factors that are necessary for a restaurant like good atmosphere, nice food and decent attentive staff to satisfy a good foodie. You can enjoy all three categories here; drink, veg or non-veggie stuff. While getting good a good sizzler tuff is difficult in Nagpur, Ashoka becomes an exception. They have some very good sizzlers. Dalchini is the best place in Nagpur to taste the city’s cuisine and you must visit here at least once during your Nagpur trip. It is very good to have such a genre restro in such a sophisticated way. Be it chicken, mutton or fish, this restaurant satisfies the varied tastes of non-vegetarians. You can enjoy the fabulous taste of Kolhapuri and Nagpuri dishes here. The good service of polite staff and the mildly decorated but superb ambience together makes your dining experience ever memorable. Mangi Forever serves delicious Indian and Italian food even though they are a little bit costly. It provides a nice ambience and arranges separate rooms for private parties. The excellent services of staff actually make the food tastier and more palatable. There are separate rooms for family dining and bar users. Italian delicacies such as variety of past and specially smoked pizzas here are the must tired items. The bar of Mangi Forever is impressive with collection and so it is a good option for a nice drink with friends. Puran Da Dhaba is an all fun place where you can enjoy authentic Punjabi cuisine during dinner. This ethnic Indian restaurant, which reflects the rustic and traditional ambience, provides unique starts, even though you may have to wait to get them on table. Good food, nice outdoor atmosphere, extraordinary ambience and excellent service together ensure you a fantastic dining experience in Puran Da Dhaba.